Laser Surgery is increasingly being used as the surgical procedure of choice for patients requiring surgical intervention to correct eye conditions. Because it is non-invasive and does not require a full anaesthetic it is ideal for patients who are elderly or who have other conditions that may make a general anaesthetic dangerous. The patient is usually awake and conscious throughout the procedure and it has few side effects associated with it. Returning to school, work or normal life activities can usually occur within hours of the completion of the procedure. Because of these factors, there are few age limits associated with laser surgery. Is there an Age Limit for Laser Surgery for Children to Receive the Treatment? Whilst there is no age limit for most types of laser eye surgery some clinics and doctors do limit their patients ages to those over 18 years of age. However, following successful treatment of patients under the age of 18 for serious eye conditions, many doctors are now including younger patients on their lists of patients considered suitable to receive laser surgery. Doctors have been hesitant to use this form of treatment in younger patients because in most cases it is possible to treat medical conditions in children without the need for surgical intervention at all and most treatment is usually of cosmetic value only. Most doctors believe that if younger patients, particularly children are treated with a surgical intervention, parents may feel that the problem with their children’s vision has been resolved. It is essential in most cases that the child still be encouraged to wear patches, glasses or contact lenses even if they find them unpleasant or uncomfortable to enable the child’s natural development processes to correct most vision problems associated with children. Doctors who support its use in children limit their support to children who have far sightedness or other problems that may be corrected by laser surgery and this is an opinion growing in popularity. As such the age limit for laser surgery in a younger patient with a visual problem can be discussed with the ophthalmologist treating the child. 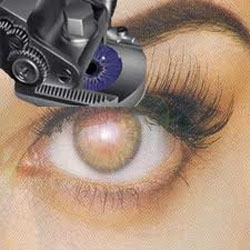 Are There Other Eye Conditions That May Have an Age Limit for Laser Surgery? As a general rule any healthy adult over the age of 18 years can have successful surgery and the treatment is considered safe. If a person has other underlying medical conditions or is breastfeeding there are a few exceptions to this rule, although the exceptions are often temporary in most cases. Once a woman has ceased to breast feed she can organise to have laser surgery and for other conditions, if there is a period of 12 months without an episode or recurrence of the condition that is considered unsuitable for laser surgery then it is considered safe to proceed with the treatment. In all cases it is the underlying conditions and not an age limit for laser surgery that prevents the surgery taking place and the ophthalmologist will decide the suitability of a person to receive treatment based on these conditions.